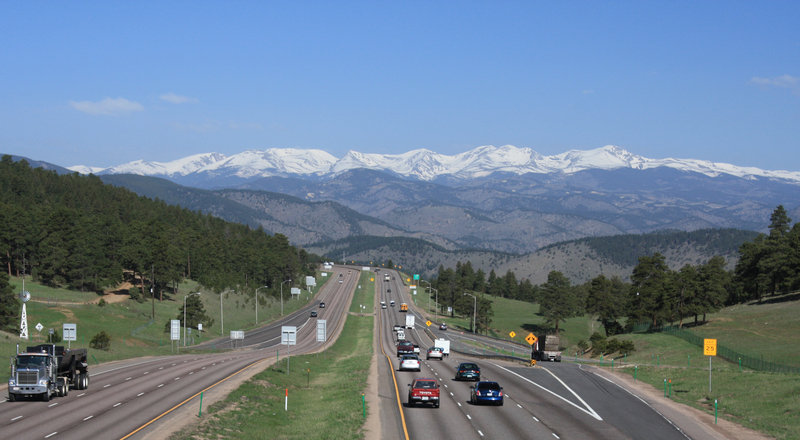 The construction of Interstate 70 across Colorado's Rocky Mountains was one of the greatest engineering feats in US history and was essential to the growth of tourism in the high country. Front Range and I-70 from Genesee Park | Flickr - Photo Sharing! No changes or alterations were made.